Just when the warblers seem to be all gone, the yellow-rumps flood into Iowa. 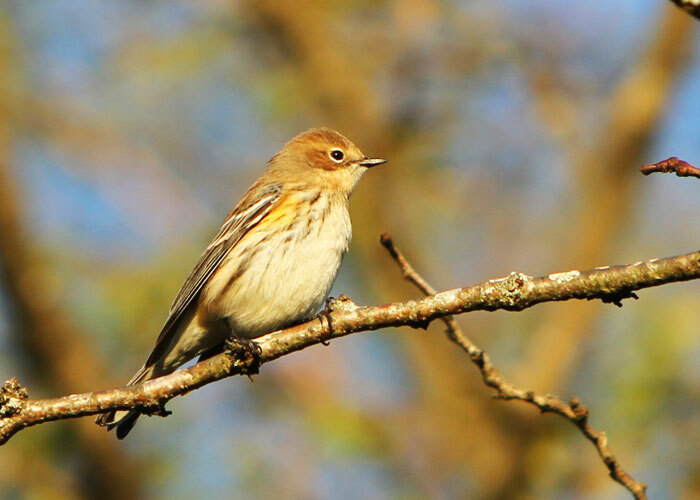 Yellow-rumped warblers are everywhere now, in the tens and the hundreds. This morning, as storm clouds darkened the woods without ever dropping rain, the yellow-rumps skirted through the underbrush. When the sun came out, they popped into the open. They have already changed from the flashy colors of spring to their subdued winter plumage. This warbler has one of the most dramatic of changes in appearance between fall and spring, or rather, between what is called "basic" plumage, meaning what they wear most of the year, and "alternate" plumage, which they wear during the breeding season. 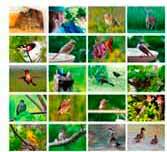 Not just one picture per bird, but many photos for each species, showing the birds from all angles. Over 1000 stunning photos in all.